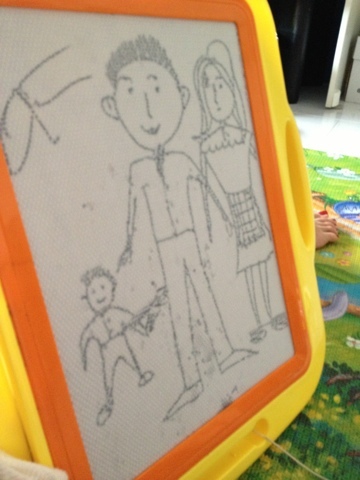 GuGu was drawing a person and told him it was his daddy..
Mommy: why is papa angry? Wahaha! In a matter of time, he would be complaining to his teacher that we scold him at home for various reasons.. Lol!